Due to aging process memory of men and women gets a decline. 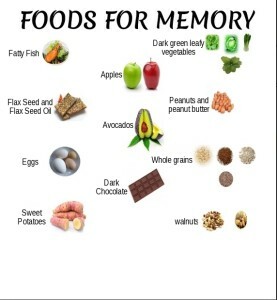 There are a lot of issues and facts that affect the memory, it may be psychological, fitness and environmental. Memory loss cannot be stopped but process of losing memory can be minimized. One can adopt measures to improve memory, and can strengthen mental health. Here are some most trusted Ways to improve your memory and easy tips for all and sundry to improve his/her mental ability to play effective role in daily life. Nature has bestowed us a number of fruits, vegetables and beans to stay healthy and to improve our mental ability, these food items not only boost our mental health but they are responsible to keep us healthy and mend our concentration in day to day routine business and activities. Top of the list food items are those which contain omega three fats, glucose and antioxidants. Fatty fish, Eggs, Sweet potatoes, Flax seed and seed oil, apples, dark chocolate, walnuts, whole grains, dark green leafy vegetables, butter, yogurt, milk and iron containing vegetables and fruits. The main function of these fruits is to maintain the glucose level in the blood, as human brain basically requires glucose for their utility. The physical exercise do build up your body and enhance the brain activities but the real exercise for the brain is to perform the logical and mathematical puzzles to boost the brain cells. It is pertinent to mention that physical activity will decreases the rate of brain cell decaying, which is a fact as modern research has revealed. 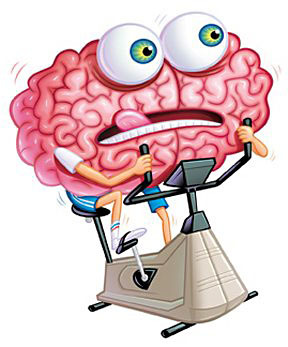 So guys keep your brain busy in healthy activities to make it more effective for you. Brain stimulating activities will sharp your brain. Do brisk walking daily in the evening and morning time. Stretch exercises are also helpful to boost the organs and brain activities. Exercises do nothing but they cause to produce white matter in the brain which is responsible further production of brain cells i.e. neuron. So physically fit and healthy body has the healthy and sharp brain. Therefore a good memory is with a healthy brain and healthy brain comes from exercises both physical and mental. Tension and stress is modern day misfortune of human race. Tension not only affects all human organs but also limits their function, brain is one of them. The brain a function and activity in stress and tension environment is alarmingly low, continues tension and stress lessen the memorizing and recalling ability of the brain. Blood pressure is also another worst problem which technological age has given to mankind. High blood pressure not only leads to brain hemorrhage but also disturbs the function of brain, and also a reason of memory loss. These things you should know how to get rid from tension and stress. 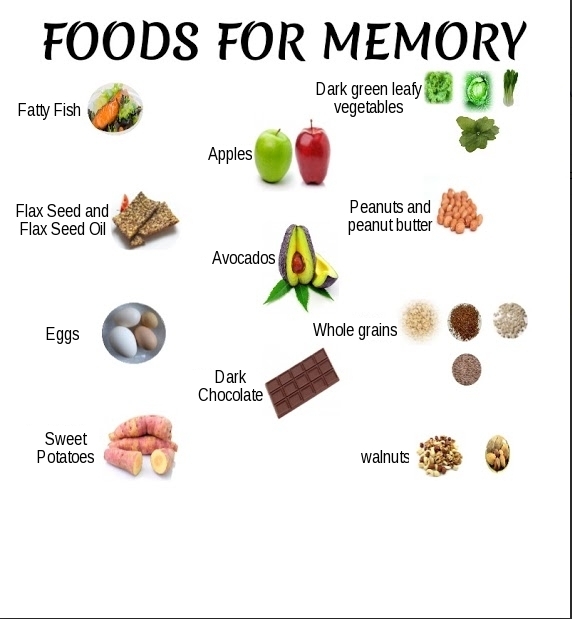 Brain’s cells neuron and neurotransmitter are responsible to make our memory up to the mark. It is, therefore recommended that for better memory and to save from iron deficiency anaemia, check and maintain your iron level as per standard. Iron rich food are meat usually red, eggs and butter, all types of beans, dark green leafy vegetables etc. Do not rush and involve yourself in multitasking schedule, it will not only disturb your efficiency level but also your concentration will be lost. Research has revealed that when we do multiple task i.e. watch TV and as well as read a book, the our brain will remember neither TV items nor book contents as in multitasking brain save the items in flash memory and it will not be remembered and recalled. 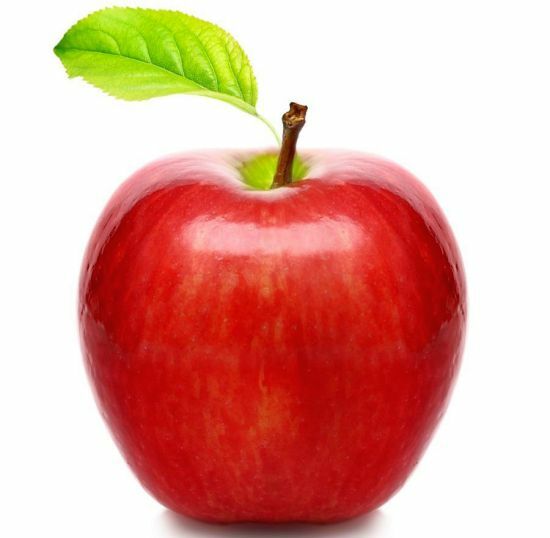 This proverb is still valid since its creation, apples are rich in vitamin C and fibre which are essential parts of our body, and vitamins found in apple are catalyst for memory cells that are responsible for good memory.